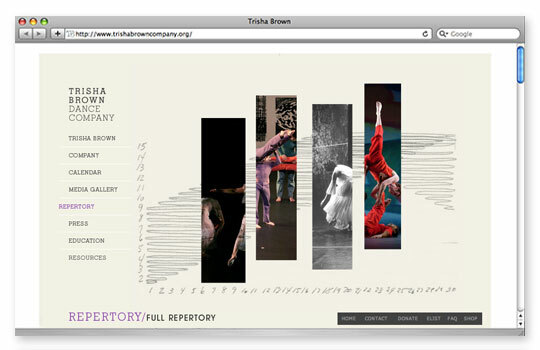 The website for Trisha Brown Dance Company a modern dance company. 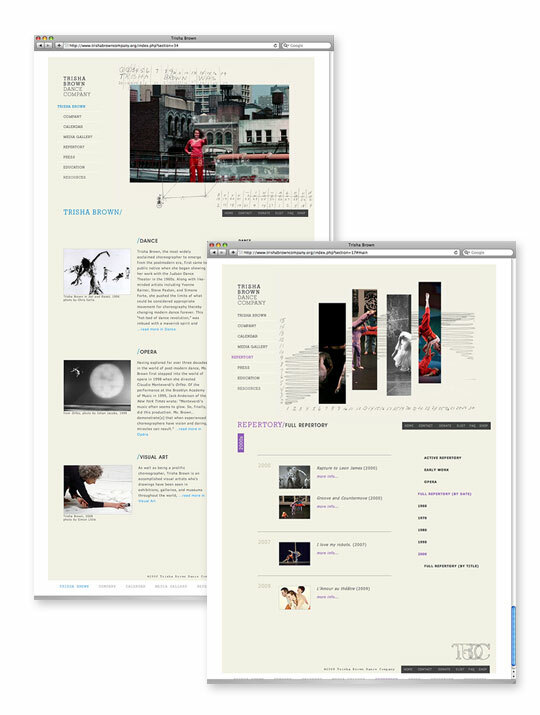 The website utilizes the identity along with image archives and dance notations by Trisha Brown. Custom CMS was built for onsite management. 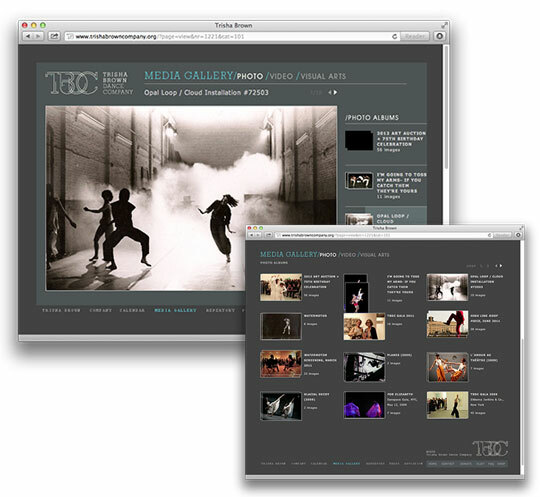 Site also includes calendar, media viewer, and press section, and archive.